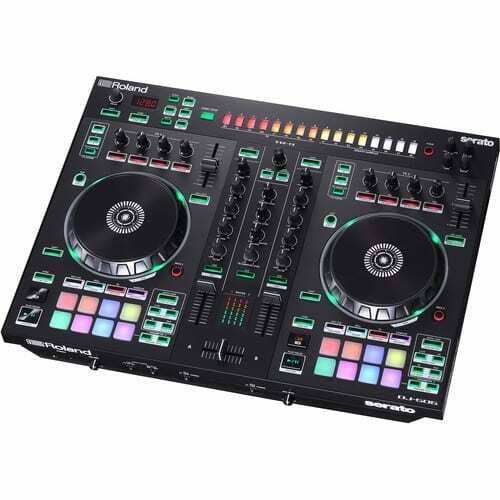 The Roland DJ-505 is a professional, 2-channel, 4-deck Serato controller that blends the advanced capabilities of Serato DJ with the sounds and sequencing of Roland’s TR-808, TR-909, TR-606, and TR-707 drum machines, making it well suited for mobile DJs, live performances, house parties, clubs, bars, and production facilities. 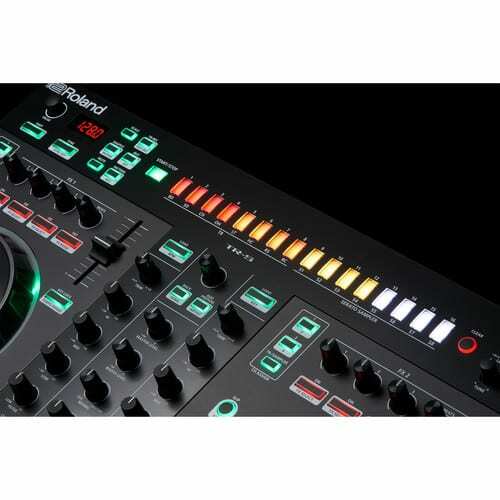 Like the flagship DJ-808 and the compact DJ-202, the streamlined Roland DJ-505 offers power and flexibility to anyone wishing to DJ, remix, and produce. 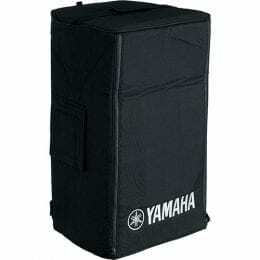 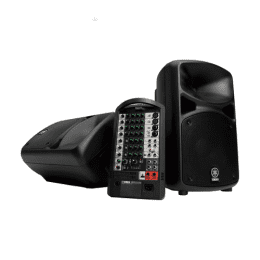 The professional-grade enclosure features a built-in 24-bit/ 48 kHz audio interface, which provides high-end conversion for the master and booth outputs for clear, powerful sound. 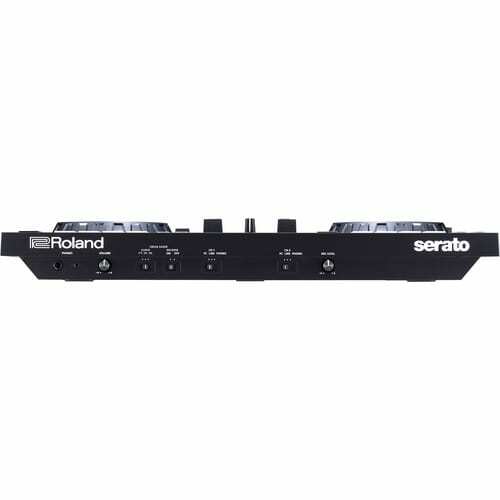 Two sets of master outputs include stereo XLR and stereo RCA, while the booth output is offered on two balanced 1/4″ outputs. 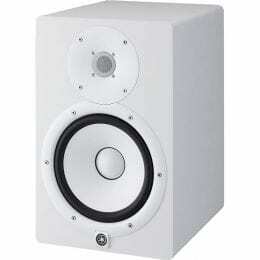 Additionally, there are two headphone outputs (1/4″ and 1/8″), which enable two headphones to be connected simultaneously. 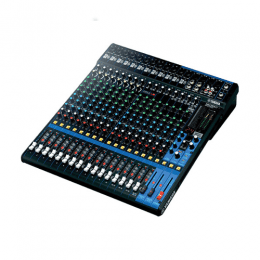 There is also a high-quality 1/4″ microphone input, which allows you to add vocals or instruments to your performance setup and includes multiple effects such as gate, hi-pass filter, reverb, and echo. 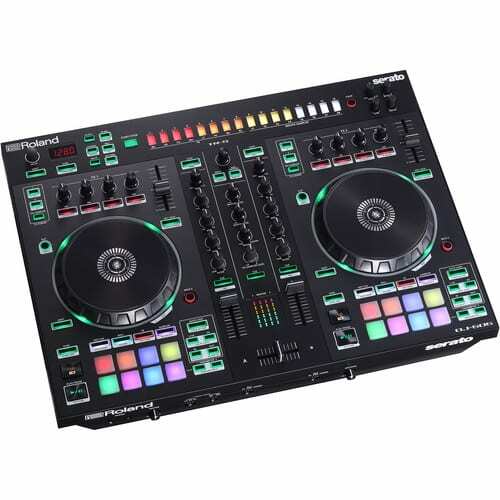 Using Roland’s patented Analog Circuit Behavior (ACB) technology, the Roland DJ-505 faithfully recreates the original sound and character of these classic machines, giving you the ability to program and create rhythm tracks using the same pallet of sounds used by iconic artists for decades. 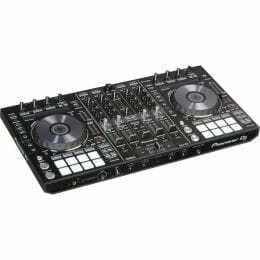 The DJ-505 offers several instruments including bass drum, snare drum, closed hat, open hat, tom, rim, clap, and ride. 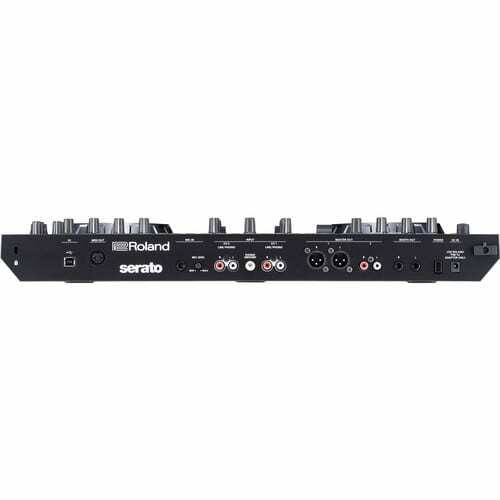 What’s more, the DJ-505 provides dedicated control knobs for level, attack, decay, and tune to help you fine-tune your sounds. 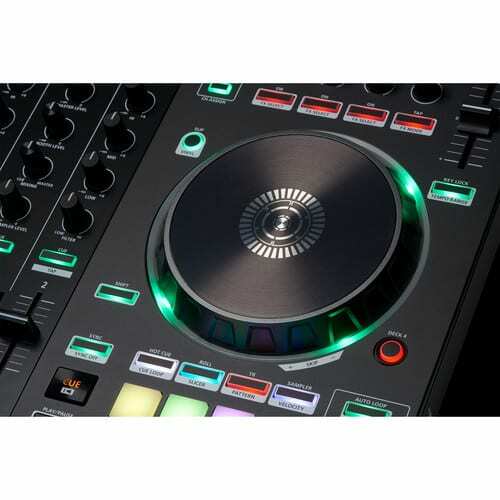 The large, low-latency platters are optimized for scratching, while the eight dedicated touch pads offer control over the included full version of Serato DJ with several modes such as, hot cue, roll, slicer, TR, pattern, and sampler. 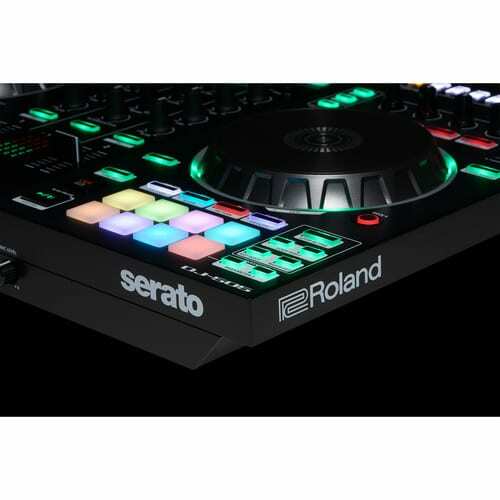 The integrated 16-step sequencer not only triggers TR sounds, but can also utilize Serato’s on-board sampler. 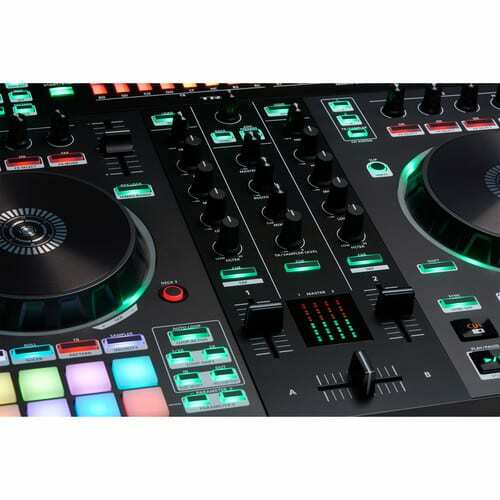 The unit also offers a standard 5-pin DIN MIDI output, allowing you to connect and synchronize other outboard gear such as Roland’s AIRA instruments and effects. 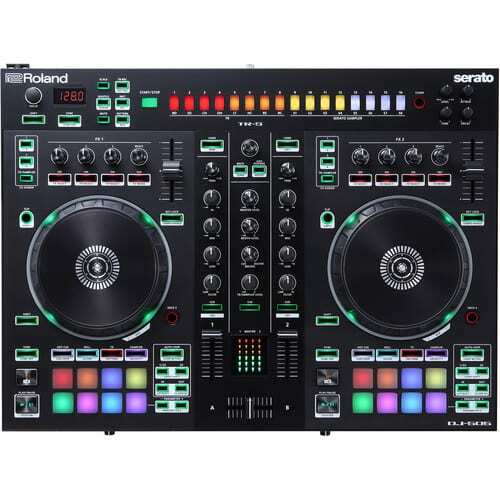 The Roland DJ-505 includes the Serato Tool Kit license, which includes Serato Pitch n’ Time DJ, Serato Flip, and all Serato DJ FX packs. 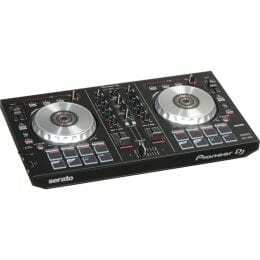 Should you wish to utilize external decks, such as turntables or CD players, simply connect them to the DJ-505’s rear-panel RCA inputs. 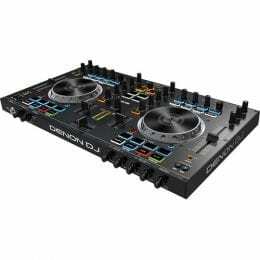 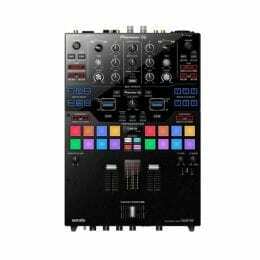 The system can also be upgraded with the optional Serato DVS. 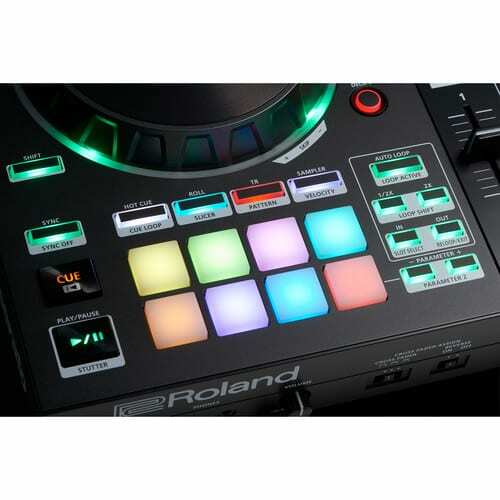 The Roland DJ-505 also ships with an AC adapter, a power cord, and a USB cable.